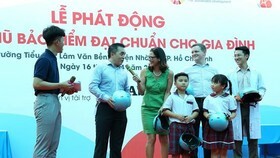 Politburo member, Secretary of the HCMC Party Committee Nguyen Thien Nhan and leaders of the city's Department of Training and Education, and the municipal Party Committee’s Propaganda and Education Board on November 19 visited veteran teachers on the occasion of the 36th anniversary of Vietnamese Teachers’ Day (November 20). 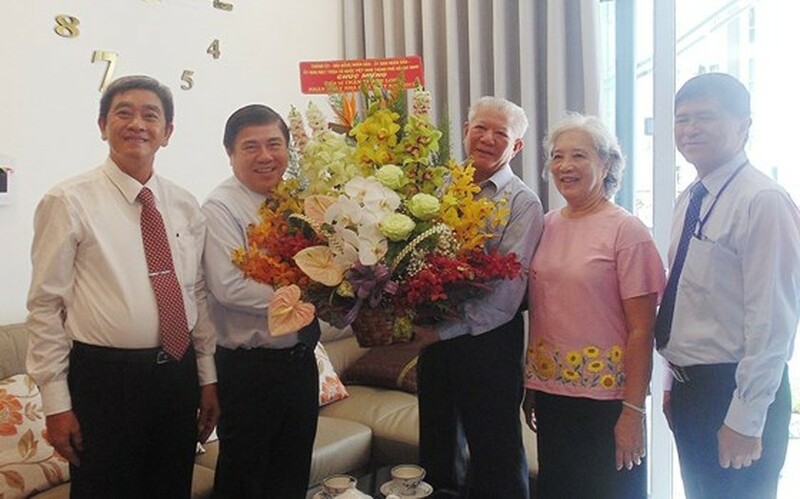 At the visit to Prof. Dr. Tran Hong Quan, former Minister of Education and Training and Chairman of the Association of Vietnam University and Colleges; and People’s Teacher Phan Thi Tuoi, former rector of HCMC University of Technology, Party Chief Nhan wished veteran teachers good health and expressed his deep gratitude to teachers for their significant contributions to the education sector and the development of the city and the country. 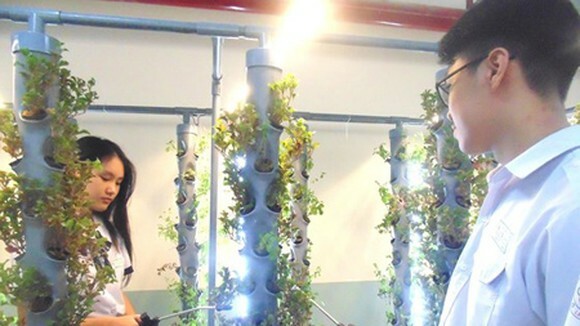 He also shared information about creative urban planning project covering District 2, District 9 and Thu Duc District to attract 12 universities and high-tech parks as well as connect nearly 100 universities, colleges and 100 industrial zones in HCMC, Binh Duong and Long An provinces. 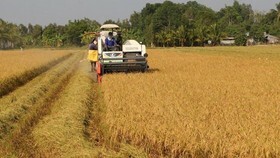 In addition, HCMC has more than 1.6 million students and built over 1,000 new classrooms to meet the growing number of 6,000-7,000 students. 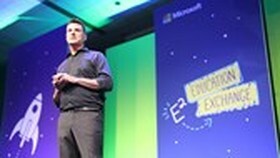 The municipal government also plans to reduce the secondary school’s tuition costs. 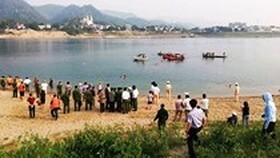 On the same day, chairman of the HCMC People’s Committee, Nguyen Thanh Phong paid a visit to Dr. Tran Thanh Long, former principal of Ho Chi Minh City University of Technology and Education and chairman of the HCM City chapter of Vietnam Fatherland Front; and Dr. Ho Thieu Hung, former Director of the municipal Department of Education and Training. 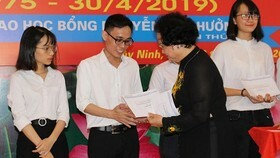 Permanent Vice Chairman of the Ho Chi Minh City People's Committee Le Thanh Liem visited and congratulated the entire staff of the Department of Education and Training. 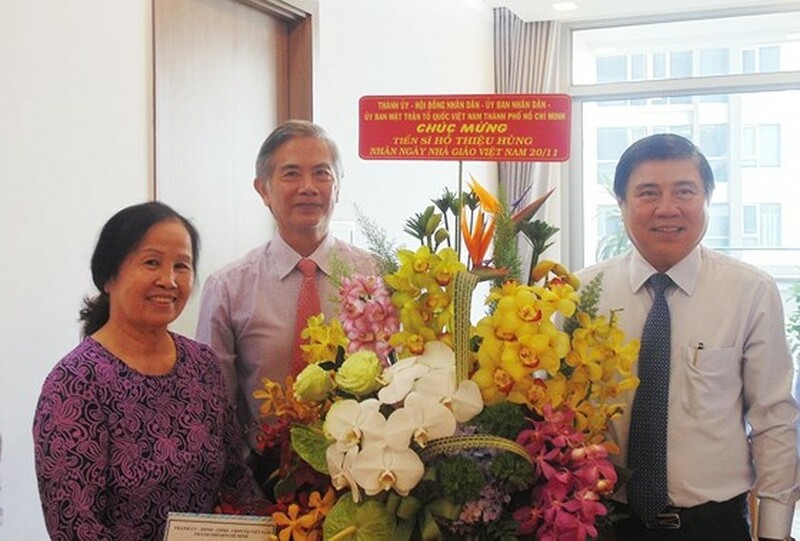 Vice Chairman of the Ho Chi Minh City People's Committee, Tran Vinh Tuyen visited the family of teacher Le Xuan Hong, former Permanent Vice Secretary of the Party Committee of Ho Chi Minh City Schools for Professional Education, Colleges, Universities Sector and former principal of the Central College of Pedagogy of Kindergarten-HCMC; together with Prof. Dr. Chu Pham Ngoc Son, Vice Chairman of Ho Chi Minh City Union of Science and Technology Associations. 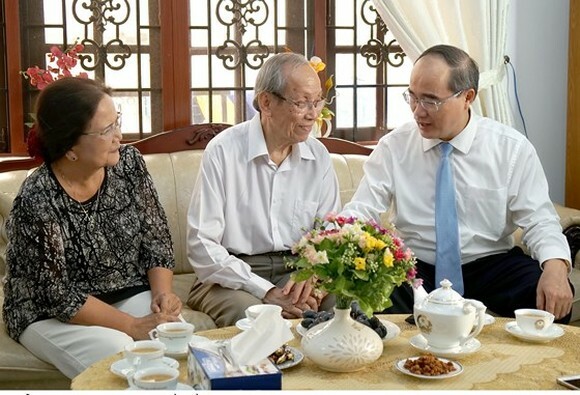 Secretary of the HCMC Party Committee Nguyen Thien Nhan visits People’s Teacher Phan Thi Tuoi, former rector of HCMC University of Technology. 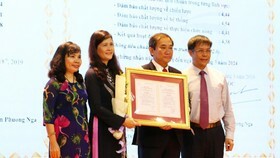 Chairman of the HCMC People’s Committee, Nguyen Thanh Phong (2nd, L) greets Dr. Tran Thanh Long. 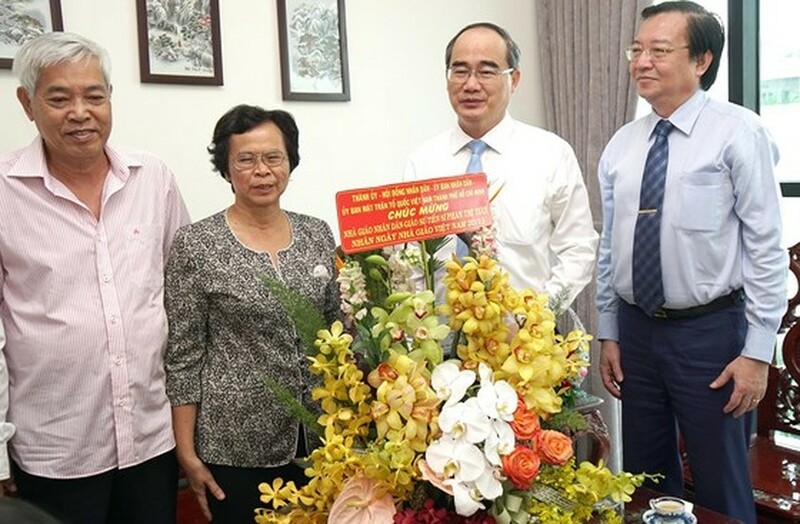 Chairman of the HCMC People’s Committee, Nguyen Thanh Phong (R ) congratulates Dr. Ho Thieu Hung, former Director of the municipal Department of Education and Training.